Massey University researchers at CoRE developed the new technology. Credit: Massey University. The technology has been developed by Massey University researchers at the Riddet Institute Centre of Research Excellence (CoRE) hosted in the Manawatū campus. FERRI PRO technology has been developed to address iron deficiency without affecting the taste of food and beverages. Riddet Institute director Harjinder Singh, who led the research team, said: “The technology was developed to help to address the world’s most important nutritional deficiency, with over 1.6 billion people suffering from iron deficiency anaemia. “But our goal was to not only address iron deficiency, but address it without impacting the product quality. So, we developed a novel protein-iron complex using food-grade materials and a unique processing method. 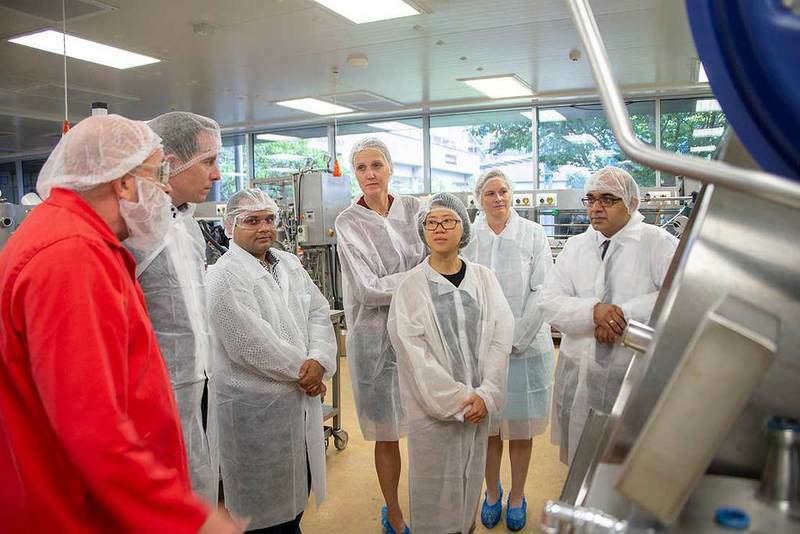 Nestlé head of nutrition, health and wellness Petra Klassen Wigger said: “At Nestlé we believe that we have a key role to play in support of global efforts to tackle the burden of micronutrient deficiencies. Commercialisation and technology transfer will be taken up through Massey Ventures, a fully owned subsidiary of Massey University. Massey vice-chancellor Jan Thomas said: “The deal builds upon Massey’s reputation for world-class research by attracting the attention of the largest food company to solve a major global health problem.